Well, we got somewhere between 6-8 inches of snow last night. The roads all around the city are littered with large tree branches. The Hubbums doesn't have school tomorrow because the school has no power and the local schools are also cancelled because the buses cannot safely traverse the roads due to the branches, despite the fact that the snow is mostly cleared off of them. Oh...and it's October. Just say'n. This is CRAZY, PEOPLE!!!! BUT, alas, it keeps life interesting, that's for sure! AND the puppies had SO much fun playing out in the snow with us today! (Okay...we might have had lots of fun, too! HA!) 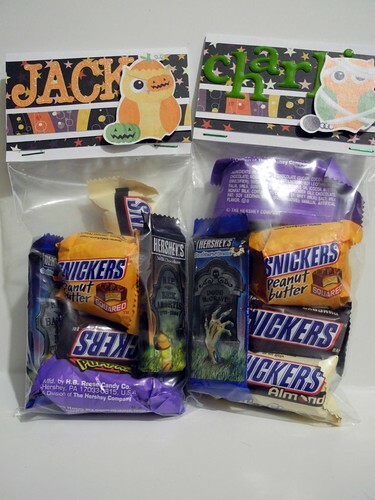 I did get a couple of cute treat bags made that I wanted to share with you just in case you need a last minute idea! I made these for a couple of adorable brothers who live nearby. I absolutely LOVE their names! I wanted to have something extra for them when they come around to trick or treat since we are friends with their parents and such. I created them using the Matilda line from Cosmo Cricket and some ADORABLE stickers from EAD Designs. The alphabets are My Little Shoebox (orange) and American Crafts (green). I think they are super fun! I kinda love 'em actually. And I kinda wanna eat all that candy. HA! So...are you ready for Halloween? What are your plans? We may or may not actually have trick or treaters tomorrow. I heard a rumor that the city is trying to get people to wait until Thursday so they can get the streets cleaned up, but we will see. Our neighborhood streets are clear and everyone seems to have power, so we may still have littles arriving at the door armed and ready with their candy buckets! YAY!!! I will be back tomorrow for one HECK of an awesome giveaway with Just Jingle and Bliss Habits! Folks...this one is gonna be good!!! so cute...I'll take one, please! Awe! How cute are they!?! What a great neighbor you are!! cute treat bags! some little jack and charlie persons will surely love them whether they get them tomorrow or thursday! SO SO CUTE! love how you personalized them. BTW, my son's name is Jack!! And after all that, I love those sweet treat bags, and kids love having their name on stuff! Wow how clever - these are great!!!! Bet the kids will love them. So sweet especially for tonite! These are super sweet, what a great way to dress up some candy. 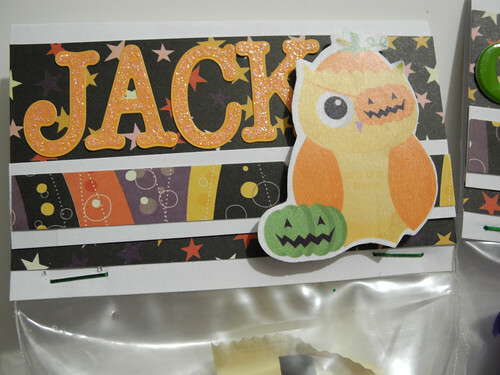 These are so cute, Jingle, I wish I could come and tirck or treat at YOUR house! these are so cute!! i bet the recepients loved them!! 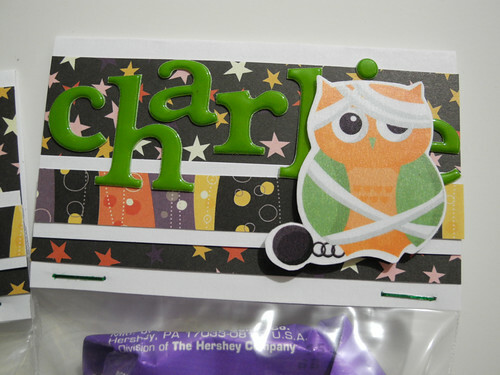 thanks for stopping by my stampin' spot!! Put off Halloween, that is crazy!! We usually get snow on Halloween, doesn't stop us...but then again we are crazy Canadians, lol.